Life is all about fleeting moments, right? Time is never at a standstill, and the person/thing/tour we love the most grows and changes in a blur and a whiz – somehow heightening a sense of loss in our hearts. These were precisely the thoughts of Luke Holden, as he started toying with the concept of an iPhone application that could actually track the passage of time. And what else to do this better, than via photos? Timesnaps (the name was Luke’s brainchild) was going to be the very first mobile app that Luke had ever created. Instead of trying to dabble in coding methods that were alien to him, he decided to hire a professional mobile app company for the purpose. I guess I could have tried to make the app myself, or simply got in touch with a freelance developer. However, I did not want to compromise with any aspect of the vision I had for Timesnaps. Hence began my search for an app company. 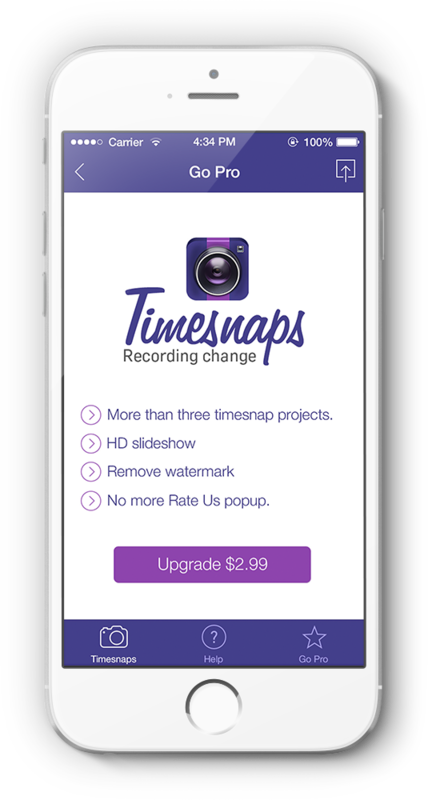 Luke constantly emphasized that Timesnaps was not going to be like any other already existing app in iTunes. He shared a basic wireframe with the iOS developers at Teknowledge, which served as a preliminary reference point. 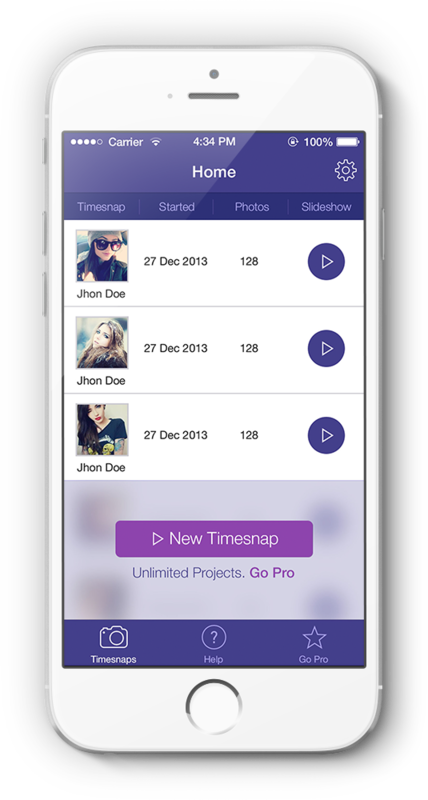 During this early phase of the Timesnaps project, there were regular interactions to understand the exact proposed nature of the app. I have been in the app development business for close to 9 years, and even so, I was amazed by Luke’s vision for Timesnaps. He wanted the app to track changes in virtually everything – right from the growth of a baby or a plant, to moments during a honeymoon tour or even the sky and the clouds. It was different from anything I had ever worked on before…and of course it was a challenge, but me and my team decided to take it on. Our team agreed with Luke that making this iOS app was not going to be a difficult task per se (the project was completed in five weeks flat). The biggest challenge, in fact, was regarding something else. Till date, smartphone-users were familiar with image-capturing apps and social networking apps. Capturing the passage of time through a mobile application was an entirely new concept. We had to ensure that people actually liked Timesnaps. I knew that I had a winning app-idea, and was quietly confident that the guys from Teks would do a good job with it. But was I sure from the very outset that Timesnaps would emerge such a big hit? Frankly, no…there was a lot of nervousness. I have always been a fan of photo-sharing apps, and had downloaded Timesnaps just out of curiosity. The new functions of the app – particularly the slideshare creation and sharing feature – are absolute delights. This is an iPhone photo app done just right! This was, in essence, the key function of the Timesnaps application. After a lot of deliberation among our mobile app developers and idea-sharing with Luke, arranging pictures in slideshows was identified as the main functionality of the app. 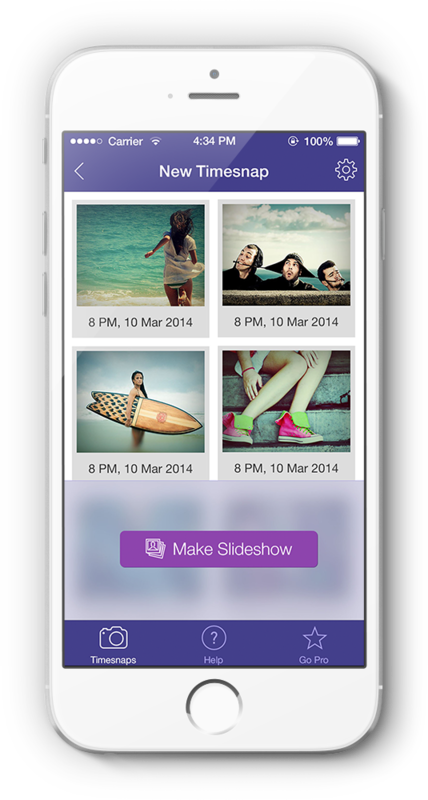 The flow of the app was customized in such a way that users could start creating slideshows immediately after taking photos and accepting them. 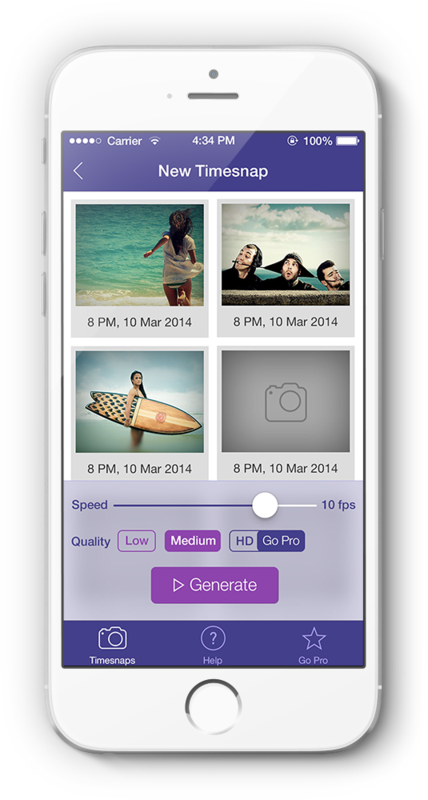 To make sure that people did not get confused by the workflow of Timesnaps, the UI of the app was made as user-friendly as possible. A user could go on a snapping spree after the tapping the ‘New Timestamp’ button (located at the center of the screen). A provision for setting alarms was also included, to remind users to take photos of the person/thing whose progress over time was being tracked. I had personally requested Hussain to let his best developers handle my project. I am happy to say that he readily obliged. I found those in charge of making Timesnaps to be proficient both coding as well as non-technical matters. 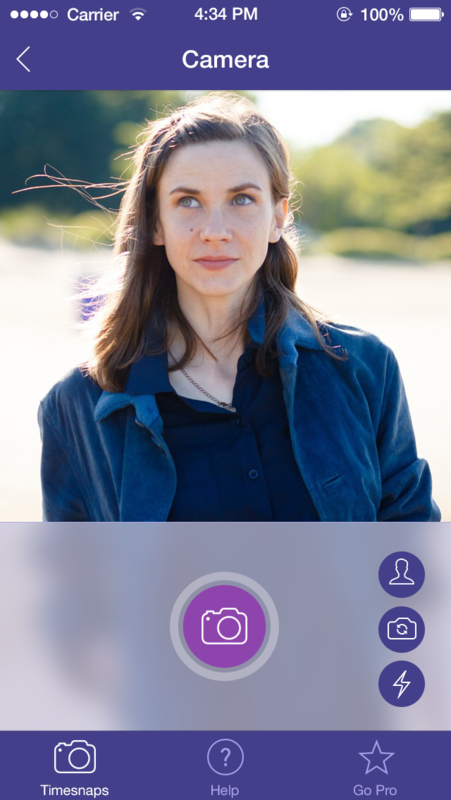 Slideshows could be created with the snapped photos (there is a ‘Ghost Button’ to add further customization and stability). The slideshows can also be shared directly on Facebook and/or uploaded on Facebook. Social media integration is a key feature in nearly all of our iOS app projects. After discussions with Luke, it was decided that Timesnaps won’t be an exception. 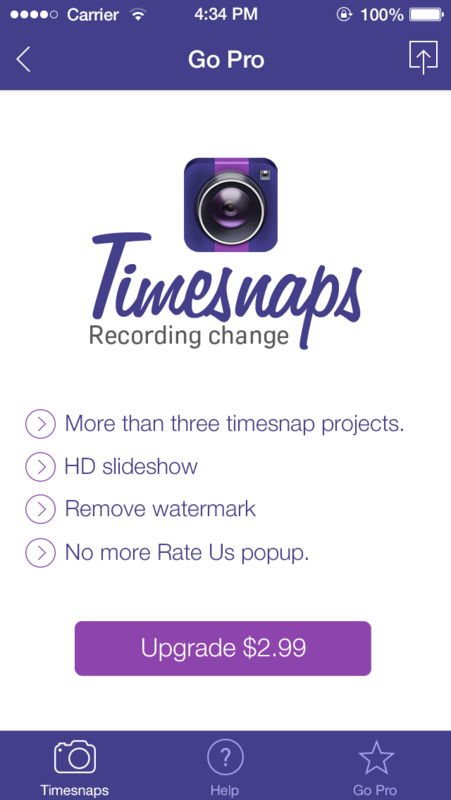 Initially, Luke was not planning to put any limits to the number of projects/slideshows that could be created with the free version of Timesnaps. It was during the final stages of development, that an in-app purchase option was included in this innovative imaging app. 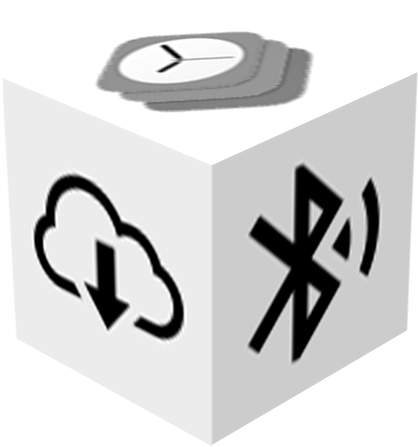 The basic version of Timesnaps can store a maximum of 3 projects. 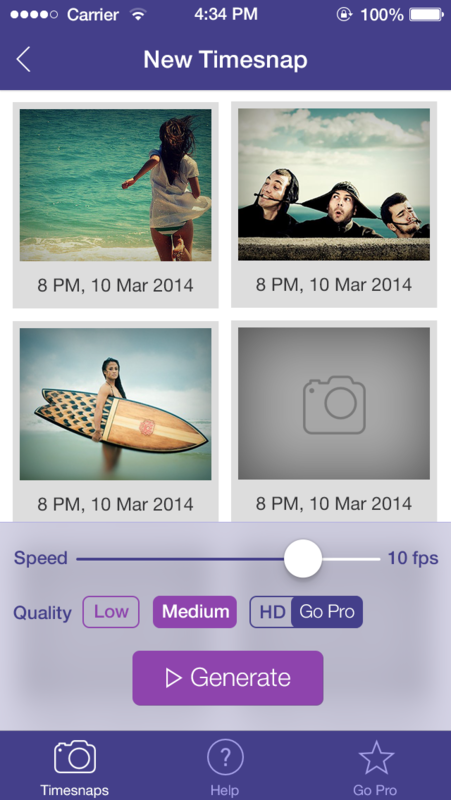 Further projects can be unlocked by purchasing the ‘Go Pro’ option (Price: $2.99). Initially, there was a bit of a confusion regarding the camera photostamp visible at the corner of the photos. This is a default feature in the standard version of Timesnaps, and can be removed by opting for the ‘Go Pro’ option. I asked myself whether the possibility of creating and storing more photo projects was enough to justify the presence of the ‘Go Pro’ option. The gut feeling was ‘no’ – and there had to be something more on offer for the users spending their money for the in-app purchase. Removal of the ‘Rate Us’ popup (visible in Standard version). Option to create any number of high-definition, interruption-free slideshows. 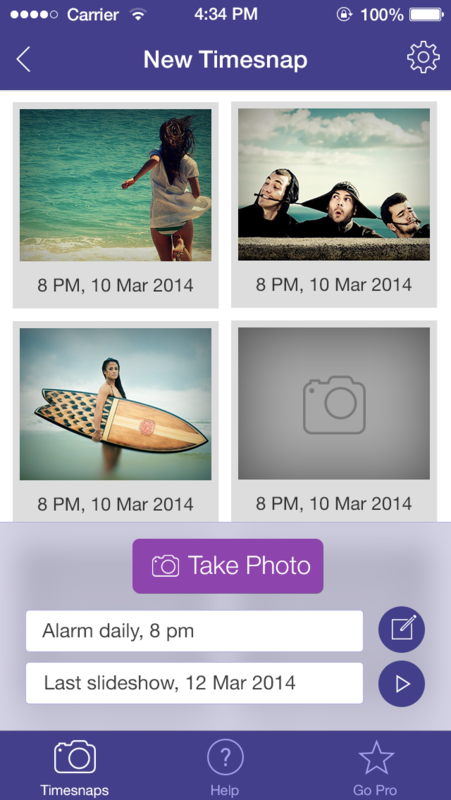 All pictures taken with Timesnaps are saved inside the app itself, and are not exported to iPhone albums. This, in turn, completely removes the risk of losing any photo. Two things about Teknowledge really built my belief that they would make my app a winner. First was, of course, their sincerity and sheer knowledge about iPhone app development. Secondly, and perhaps more importantly for me, they had separate teams for coding, testing and app designing. The project was always systematic, always streamlined. We made it a point to include Luke in the actual development phase. Feedback and suggestions were sought from him from time to time, after sharing mockups and prototypes of the app with him. The focus was on making the app just as he wanted.